Dr.Malpani's Blog: Do IVF Supplements Really Complement your Efforts of Getting Pregnant? Do IVF Supplements Really Complement your Efforts of Getting Pregnant? Many infertile patients take supplements that their doctors prescribe for them. The hope is that it will increase their chances of pregnancy. It’s not uncommon for doctors to prescribe these supplements; some are designed to improve egg quality and endometrial receptivity while others are aimed at boosting sperm quality. It’s not difficult to understand why doctors are so liberal in prescribing these supplements. Since these are “natural products”, most of which have herbs in them, they do not require FDA approval. 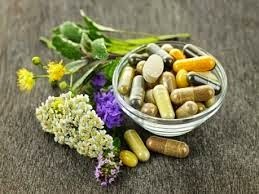 The general belief among the medical fraternity as well as patients is that that since these are natural products, they won’t really do any harm. That is exactly why doctors unfalteringly prescribe them and patients take them without question. Though there is no clinical proof of their efficacy, patients are happy that some additional efforts are being taken to help them. All of this sounds good till the point you look at their price-points. In most instances, the “course” lasts for months and so, even though these natural supplements don’t seem to cost too much on a daily basis, the overall cost works out to be significantly high. The bone of contention here is that practically none of them have been proven to work. Though it’s a fact that some patients do get pregnant after taking these supplements, it may be nothing more than a placebo effect and prescribing prohibitively expensive placebos can hardly be considered to be good medical practice. No clinical trials have been conducted to check the efficacy of these supplements. What the supplements have to their credit is that they are glamorized on flashy websites and it’s not difficult for infertile couples to fall for these emotional marketing tactics. Perfectly-cast models on hoardings and in print ads very credibly propagate the benefits and use of these supplements and candidly describe about how easily they got pregnant after taking them. But just as a one-off occurrence cannot become a rule, there are no guarantees that just because a particular supplement has worked in one case, it will have the same effect in all. Another concern is that because of their “natural” tag, women don’t stop at taking the prescribed dosage- they take an entire box full and feel that it will have a greater impact. This makes it impossible to figure out what worked, whether it worked at all and why it worked- and there are no tangible learning outcomes from these self-imposed clinical trials that women carry out on themselves. It’s also important for us to raise the red flag because something that has positive effects can also have negative ones and these supplements may end up reducing a patient’s fertility versus increasing it. The Better Pill or the Bitter Pill? This is something we see in our practice all the time. For example, myoinositol is being very actively promoted to treat patients with PCOD (where it’s proven to be effective). But it is also being marketed under some clever brand names like Oosure. A number of doctors are mindlessly prescribing it for all patients who have ovulatory dysfunction as well as those with poor ovarian reserve! If doctors don’t practice any restraint in the manner in which they prescribe these supplements, it’s not much of a surprise that patients are not overly concerned about which ones they are taking and the dosage they are consuming either. And so when a IVF doctor prescribes a 6-12 week course of a supplement such as DHEA to improve a patient’s ovarian reserve (before starting their IVF cycle), patients feel that it may just help them conceive naturally; they end up wasting a lot of time and money on these supplement and when there are no positive results, it frustrates them. A part from the precious time lost, what probably does more harm is the false hope that these supplements create. This, more than anything, reduces the patient’s chances of having a baby. Confused about whether your supplements are helping or harming you? Please send me your medical details by filling-in this online form so I can guide you aptly.